Fan me I will return the favour!! Hello!Welcome to my page! I am MizzMousey.See my news :)....I love vampires and all that fantasy stuff. I am in love with Seth Clearwater! 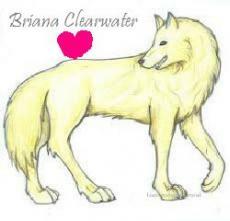 So if you every time you see me call me Briana Clearwater! I haven't done that much stories but hopefully when you read this that would be diffrent!If you like twilight then you should really go to this site: http://darkoftheeclipse.ning.com/ The creator gave it to me on this site, if you want to meet her just scroll down and she is in my comments!I love Vampire Academy if you have not read it then read it! Yes I have read all the twilight saga's like 10 times!! Another thing about me: I am obbsessed with writing these<3it is like my singnature! if you see this you know its me!My favourite thing I have writtern is Sunset-The story after Breaking Dawn, so if you haven't read it please do and comment because it seem's like no one likes it! This page was created in 1.5220 seconds.